German-born American singer and musician Geoff Tate rose to fame with the progressive metal band Queensrÿche, who had commercial success with their 1988 album Operation: Mindcrime and 1990 album Empire. 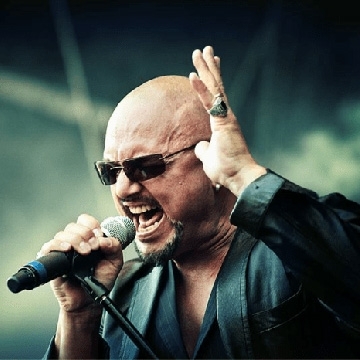 Geoff Tate has recorded 17 studio albums throughout his 35 year career and is regarded as one of the most skilled vocalists in the rock genre with hundreds of modern popular artists siting him as a major influence. Geoff is will known for expertly crafted lyrics combining social consciousness with high energy, melodic complex music. Geoff and his band have been internationally recognized as thinking man’s metal. In addition to releasing seventeen studio albums as the original singer of Queensryche and as a solo artist Geoff has released several live albums and has been nominated for a grammy four times. He has sold over 25 million records and performed in more than 46 countries.